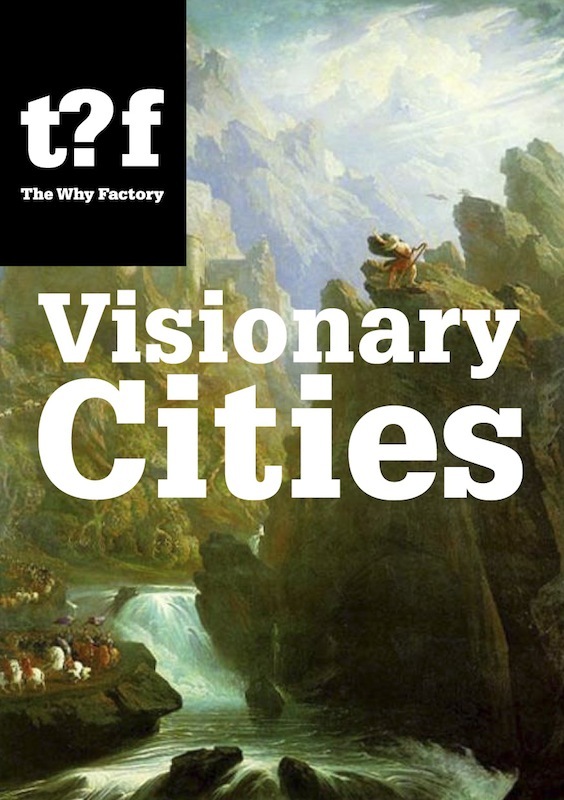 Visionary Cities is a pamphlet serving as an introduction to The Why Factory as a new research/design institute. Being the first publication of the series, the pamphlet aims at giving the public an overview of the problematic The Why Factory is addressing as well as stating its ambition, the modus operandi for the coming years of its production. The pamphlet is composed of several short chapters, ‘the urgencies’, each written in a different format but always bringing forward a certain urban crisis. Whether pointing at sustainability, boom of leisure economy or poverty the chapters reveal a particular tension between the discipline of architecture/ urbanism and the dynamic of the city itself. Each chapter is therefore a specific brief, an urgent call for the project to unfold. In the finalizing chapter Winy Maas states the goal of The Why Factory as re-constructing of the city as a prospective project. He points out that as the last urban manifesto was produced several decades ago a visionary dimension to architecture arguing a larger scale communal agenda and speculating on the new values of the city is increasingly critical to current practice and discourse. The Why Factory, therefore, advocates the necessity to research, theorize and politicize the urban future as the most actual territory of architecture.